If you're sleepin' on adding a vest to your wardrobe, think again. 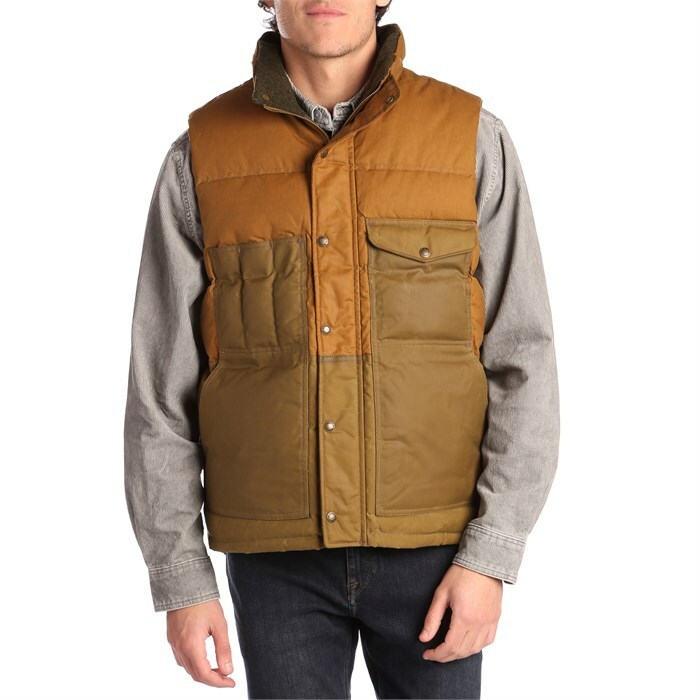 The Filson Down Cruiser Vest and its high quality oil finished exterior and warm-as-heck goose down filling is a super versatile option for layering over or under your other winter-wear. Built with Wind- Water- and Abrasion-Resistant Oil Finish  Cover Cloth and reinforced with oil finish Shelter Cloth on the pockets and lower back.